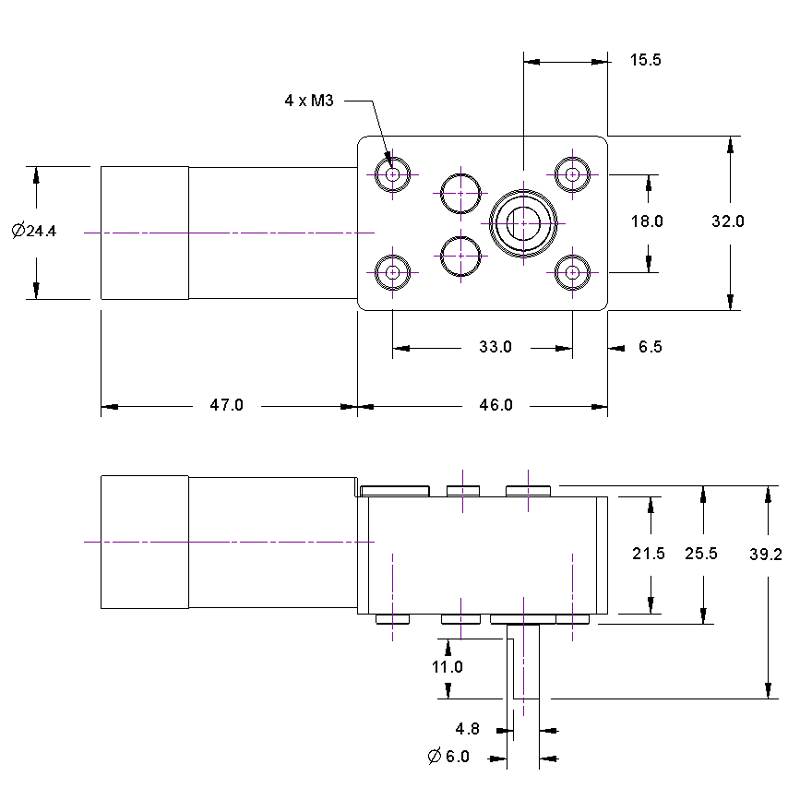 Permanent Magnet DC motors together with Worm Gear type Gearboxes offer a relatively high torque output in a compact size and with an output at right angles to the motor. An advantage of Worm and Wheel Gearboxes is limited back drivability: the worm driven by the motor can easily turn the gear on the output, but the gear cannot turn the worm. 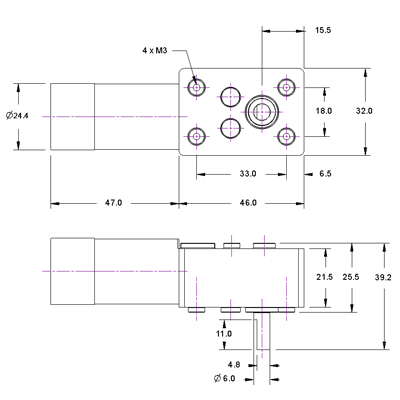 This provides a form of brake which can be useful in certain applications for example lifting. These motors can be run in both directions. A Quadrature Encoder can be used to calculate the speed, direction and distance travelled of the output shaft of our worm gear motors. The rear of the motor is equipped with a dual channel Hall effect quadrature encoder with outputs A and B. The phase difference between the channels is 90 degrees. A single circuit cycle equals 12PPR of the motor. To calculate the pulses per revolution of the output shaft of the gearbox for a single channel you would multiply the gear ratio by 12. For maximum resolution, counting both the leading and trailing edges of the pulses on both channels A and B of the encoder will quadruple the number of pulses per revolution, so in this case you would multiply the gear ratio by 48 to calculate the pulses per revolution of the output shaft. Red - Motor power terminal（+）. Black - Motor power terminal（-）. 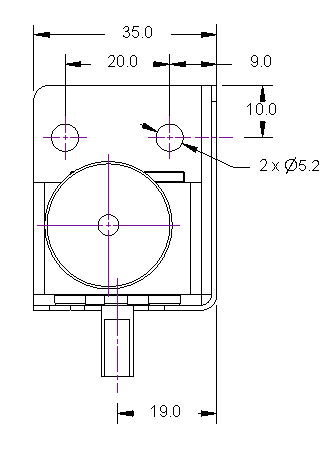 Green - Quad encoder Ground. Blue - Quad encoder +5V Vcc. Yellow - Quad encoder A signal. White - Quad encoder B signal. 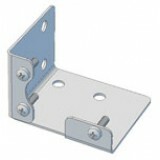 Stainless Steel bracket to fit all Worm and Wheel Gearmotors.The bracket includes the correct screws for attaching the bracket to the motor. Select from our range of Worm Gearmotors with an Encoder below. 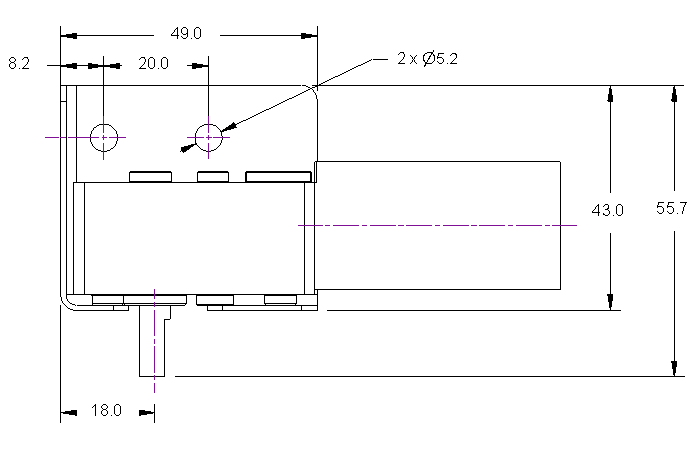 Worm Gearmotor, Ratio 40:1, with encoder. 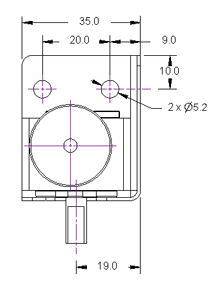 Worm Gearmotor + Hall Sensor Encoder, Ratio 40:1. Output Shaft: 6mm Dia. Output .. Worm Gearmotor + Hall Sensor Encoder, Ratio 69:1. Output Shaft: 6mm Dia. Output speed.. Worm Gearmotor + Hall Sensor Encoder, Ratio 100:1. Output Shaft: 6mm Dia. Output.. 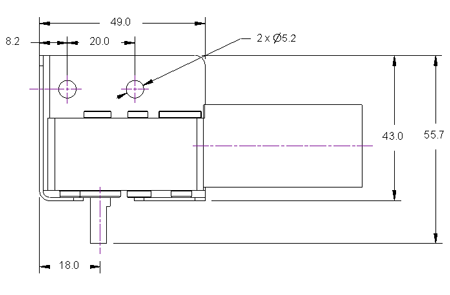 Worm Gearmotor + Hall Sensor Encoder, Ratio 330:1. Output Shaft: 6mm Dia. Output.. Worm Gearmotor + Hall Sensor Encoder, Ratio 950:1. Output Shaft: 6mm Dia. Output.. 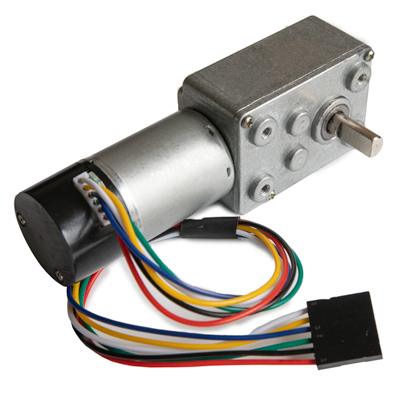 Worm Gearmotor + Hall Sensor Encoder, Ratio 1650:1. Output Shaft: 6mm Dia. Outpu..